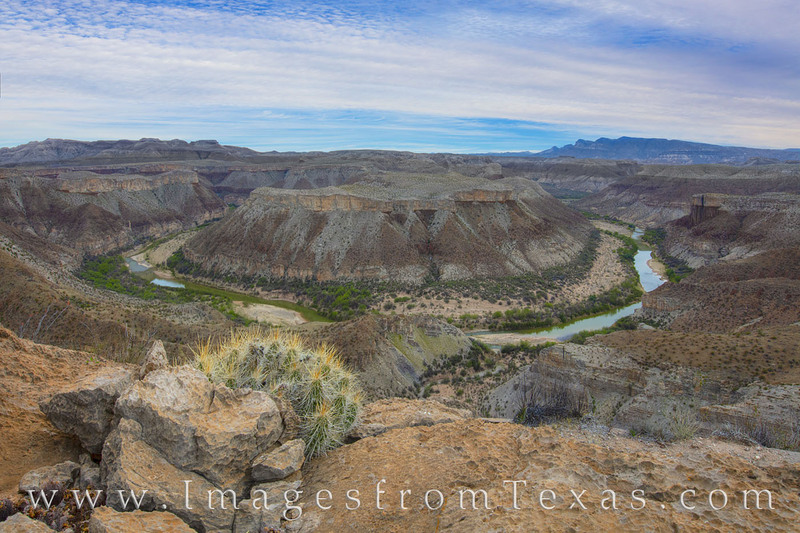 From high atop the Mesa de Anguila in the remote southwest corner of Big Bend National Park, this view shows the Rio Grande as it forms a horseshoe in its path eastward. Not far down river is the well-known Santa Elena Canyon, then further are Mariscal Canyon, Hot Springs Canyon, and Boquillas Canyon. The trail to reach this location starts south of Lajitas, then travels steeply upward to reach the mesa. To gain this particular view, a little off-trail trekking is required.